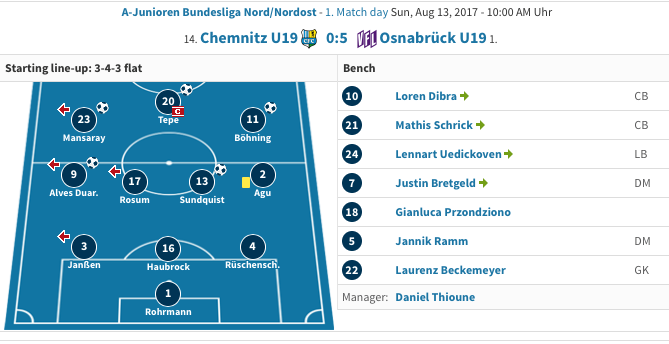 Placer United’s Cody Sundquist scored in the first game of the season for his new club VFL Osnabruck. Cody made the switch from Italy’s Fiorentina to the German club in June and is thoroughly enjoying his time while taking in stride all the challenges that come with moving to a new country and new club. Sundquist was named in the starting eleven and played the entire game scoring one of the goals in a five to zero victory. He doesn’t expect to have many games with a similar score line as the German U19 League is made up of teams from well known German clubs like, Hertha Berlin, Wolfsburg, Werder Bremen, Leipzig, and Hamburg, to name a few.